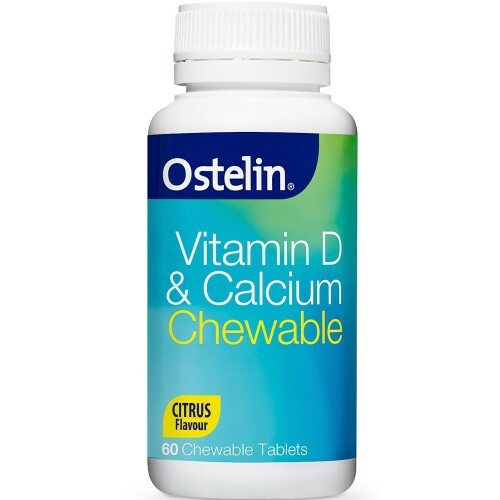 Ostelin Vitamin D & Calcium has the highest levels of Vitamin D & Calcium per tablet in a combination product. Vitamin D is essential for calcium absorption, required for healthy bones and teeth. Calcium is essential in our youth and throughout life to maximise and strengthen bones, and may assist in the prevention and treatment of osteoporosis. Recommended for people with low vitamin D levels, inadequate calcium intake and for those seeking convenient combined calcium supplements with vitamin D.
2 tablets daily or as directed by your healthcare professional.